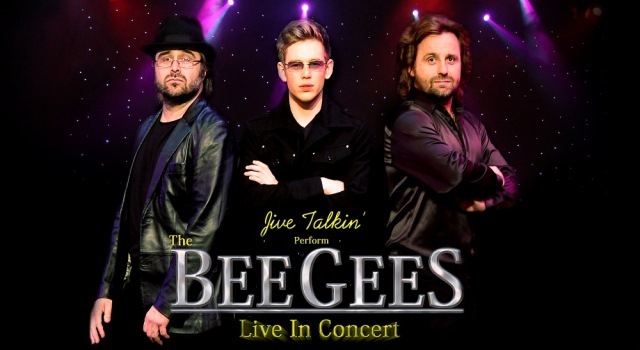 The timeless repertoire of the Bee Gees is brought to life in this stunning stage production that is taking the country by storm. This charismatic ensemble boasts stars from TV and London's West End and is fronted by real-life family members Darren, Gary and Jack Simmons making for an unrivalled vocal harmony blend. Backed up by a stunning band and live string section, you will be taken on an emotional journey from tender orchestrated 60's classics such as Massachusetts and Words, to the 70's Disco classics such as Night Fever, Stayin' Alive and Tragedy. An unforgettable evening that will have you both reaching for your handkerchiefs and dancing in the aisles.